Our ‘double dip’ cruise in May of 2017. The brown pelicans seemed to have shifted from Cocoa Beach to the port area. I got some great shots of pelicans, gulls and frigate birds from the top deck of the ship. Once we got on board I took my long lens to the upper deck and snapped whatever caught my attention. This gallery contains shots of the landscape. I’ll have another with the pelicans and birds next. It seems that the pelicans have migrated down to the docks from the beach since our last cruise out of canaveral a couple of years ago. Wondering if this is NASA stuff…that kind-of looks like the VAB with updates. Yep, I think probably it is. Those are some pretty big dishes. Side of the terminal meets perspective crop. Long way to kayak just to watch us head out. The day came to pack up and head from Cocoa Beach to our short cruise. The morning dawned bright and clear but the day promised to get rougher towards afternoon. Beautiful golden glow of the sun through the trees at the edge of Cocoa Beach. We headed over to Cocoa Beach a few days ahead of our cruise and had a couple of wonderfully relaxing days at the Inn at Cocoa Beach. It was a much nicer place than we’d used before for our transition days between Disney park and Disney cruise. 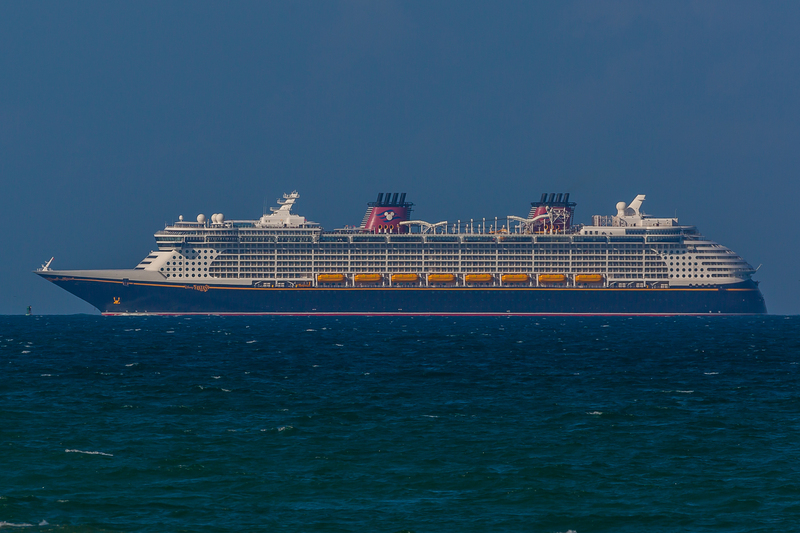 On the first full day in Cocoa Beach we saw the Disney Fantasy pull in from its dry dock time. Here are a few shots I got with my long lens. This is our first weekend home again after vacation. I think we’re almost caught up on sleep and feeling human again 🙂 I’ve got most of the pictures from vacation together in one lightroom archive and ready to work on. Loads of pictures to be worked through but I’ll start posting here as I make progress…I expect quite a few postings over time. This was a somewhat different photographic vacation from previous trips. I picked up a 100mm-400mm lens for my SLR last winter and wanted to give it a spin. This resulted in many more cell phone and small camera pictures (for anything that needed a wide angle) and lots of long and tight shots with the SLR as swapping out that monster for something wider was a bit of a hassle. Overall I think it worked out pretty well but only the final results will tell the tale. We flew back from Orlando Monday evening. The flight was already scheduled to be late (9:20 out of Orlando to about Midnight here) and got bumped and bumped. They started telling us there’d be a short delay and by the time we were done, the flight headed out after 11 PM and we finally got in after 3 AM. Lorna had picked up something that seems like strep throat at the end of the cruise and by the flight home she was pretty unhappy. I had started to feel some soreness in my throat as well. With the late hour and throat problems we’ve both been a bit frazzled for the balance of the week. Lorna gave it a couple of days and yesterday she set up a doctor’s appointment. I worked Tuesday and Wednesday but by this morning my throat was getting worse as well. I decided to take the day as a sick day both to avoid possibly spreading the problem as work and to try to double up on the appointment. We did get looked at but so far we haven’t heard back about whether the strep test was positive. We are now on antibiotics and seem so far to be getting better. I expect that this weekend is going to be a bit of a recovery weekend. We’re both still a bit worn out and Lorna’s not feeling the greatest. Got to get everything unpacked and squared away and get things rolling in the right direction. I’m going to try to start working on my vacation photos this weekend. There are a lot of them and I still have some storage chips to load into the lightroom repository and the photo-pass pictures to download from my disney experience. Hoping to hear from folks that we met on vacation who stop by the site…drop an email to kyle@ninecrows.com or comment on one of the items here to keep in touch. Delayed into port on our Disney cruise ship. We’ve stayed at various places in Cocoa Beach before Disney Cruises in the past The Inn is the nicest by a good stretch and we’re almost certain to stay here again next year. Cocoa Beach has been moving from a spot to stay for a couple of days between Disney and a cruise to a destination of its own. 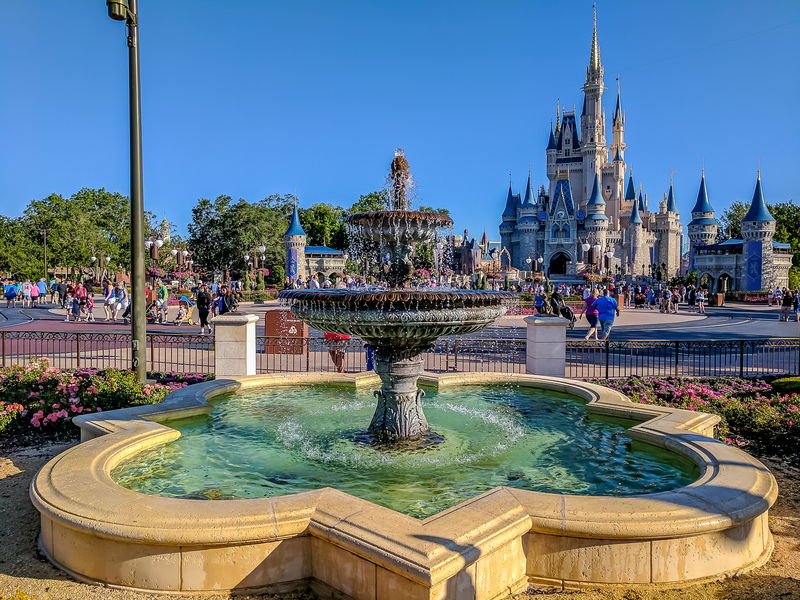 It is a great place to unwind a bit after spending days running around Orlando doing fun but exhausting things. A sand-piper who seems to know he’s being photographed. Shy bird but I’m told that she bites.